This toner seems to last forever! I never hesitate to reorder this toner for our office printers. 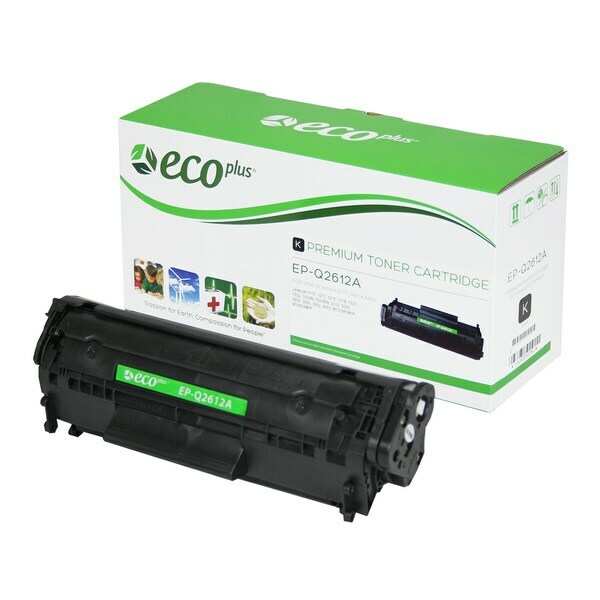 EcoPlus EPQ2612A laser cartridges are built using a recycled spent OEM cartridge, with critical imaging components replaced in order to provide premium level performance. EcoPlus laser cartridges provide OEM equivalent page yields and print quality at a fraction of the cost while helping to preserve our environment by reducing waste and pollution. Click here for information about OEM products.